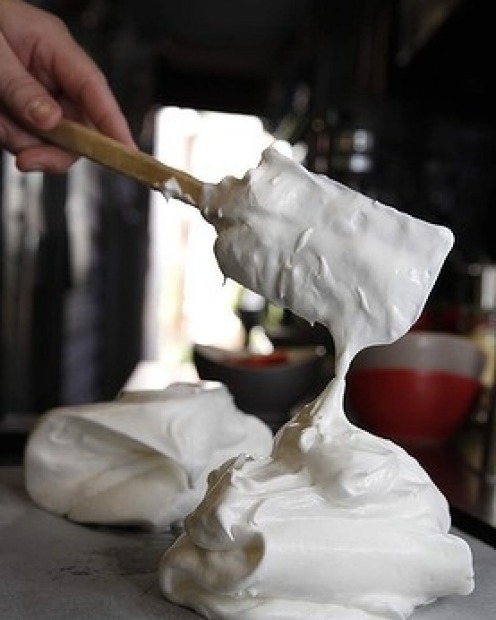 Dutch chef Rob Kabboord was introduced to this delicacy while working at London's Waldorf hotel, where he made individual pavlovas for banquets using 50 litres of egg white at a time. It's the same foolproof recipe he wrote in his notebook, which always travels with him. 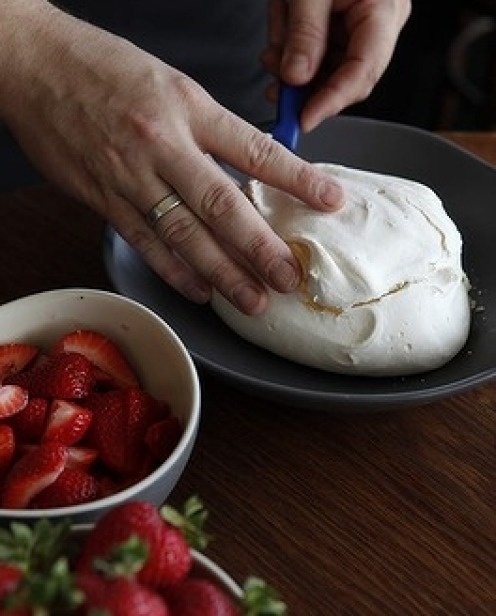 We may never resolve the question of whether pavlova originated in Australia or New Zealand, but we can all agree that it's an impressive dessert, even if it does strike fear in the hearts of nervous cooks and can trip up even experienced chefs. 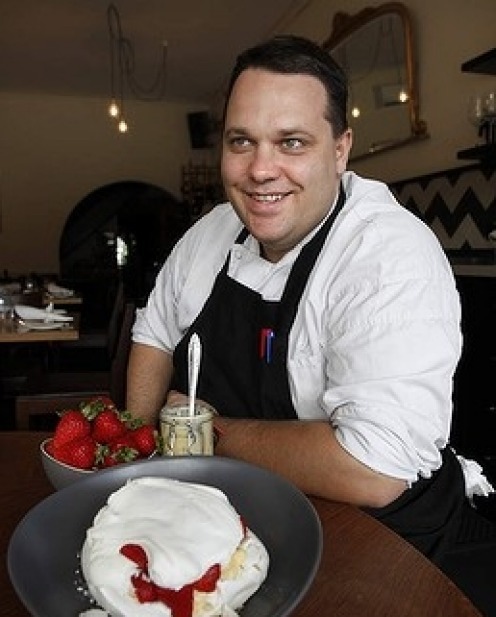 Kabboord says the perfect pav is simply a matter of following a few rules. 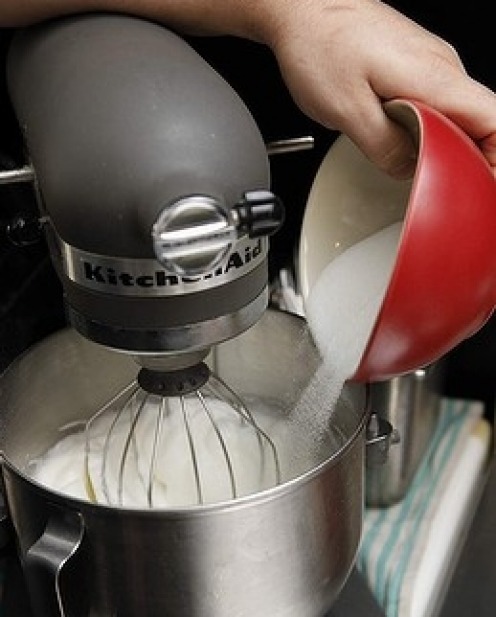 • Make sure your whisking bowl is clean. Give it a light wash with vinegar before use. • Have everything ready on the bench. When you start mixing the pavlova, you should not stop, unless your kitchen is on fire. • The whole thing should take less than 10 minutes (not including cooking time) to prepare. • Make sure the eggs are as fresh as possible. • The egg whites must not contain any trace of yolk. Separate the eggs individually and bring the whites to room temperature. 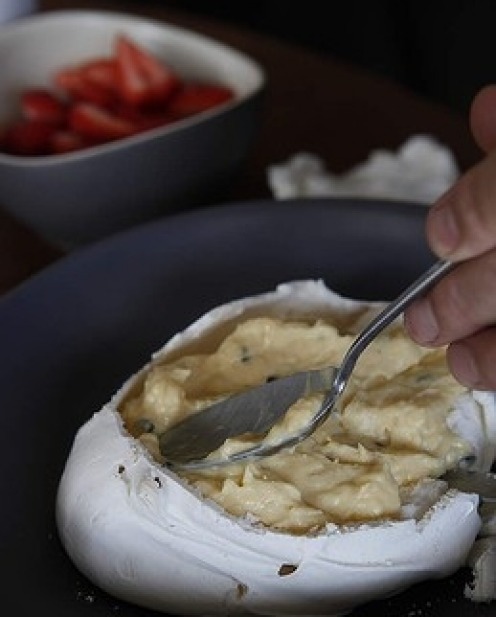 • Use the yolks to make a delicious custard for the pav (see below). 1. Preheat your oven to 200 degrees Celsius. 2. Prepare a baking tray by placing baking paper on it. 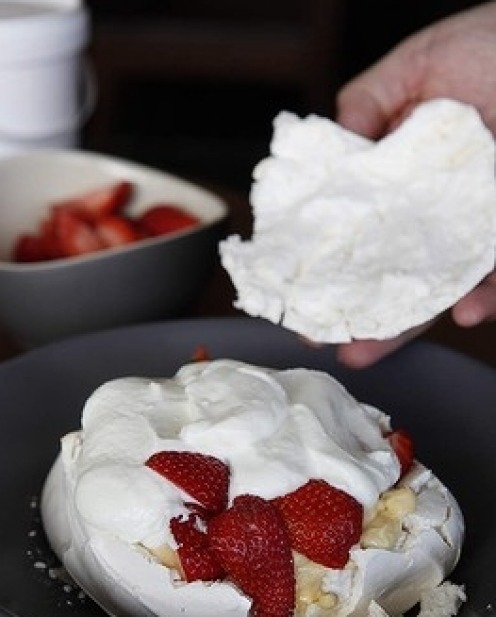 Put a little melted butter or vegetable oil spray on the tray so that the paper will stay in one place while you are spooning the pavlova mix on to it. 3. 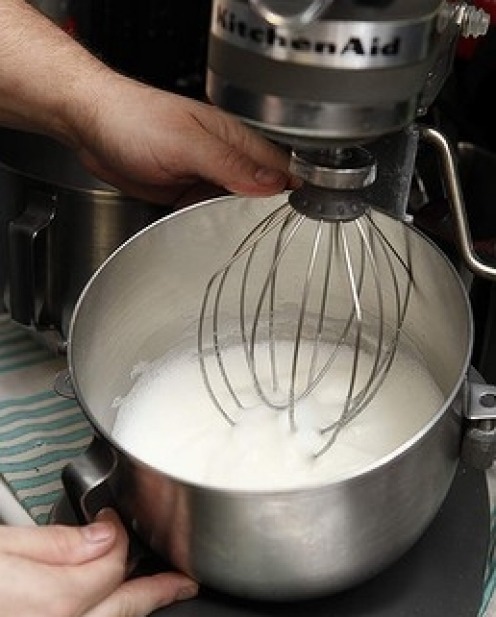 Using an electric mixer, beat the egg whites on a medium setting until soft peaks form. Once soft peaks appear, add the sugar all at once and beat the mixture for a minute or so on full speed. Do not stop the machine to add the sugar. 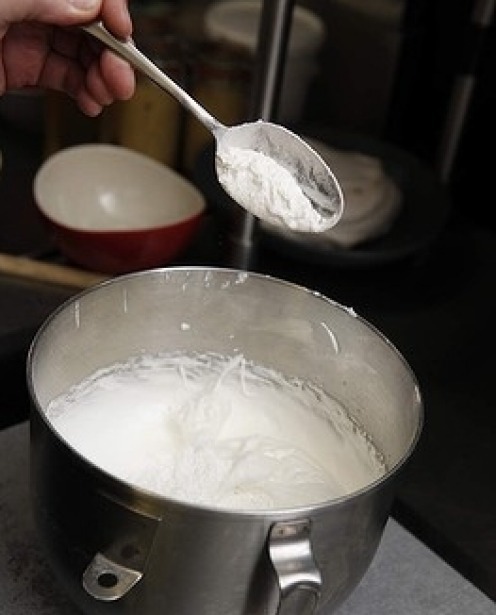 It needs to be a continuous process to trap as much air as possible in the egg whites. 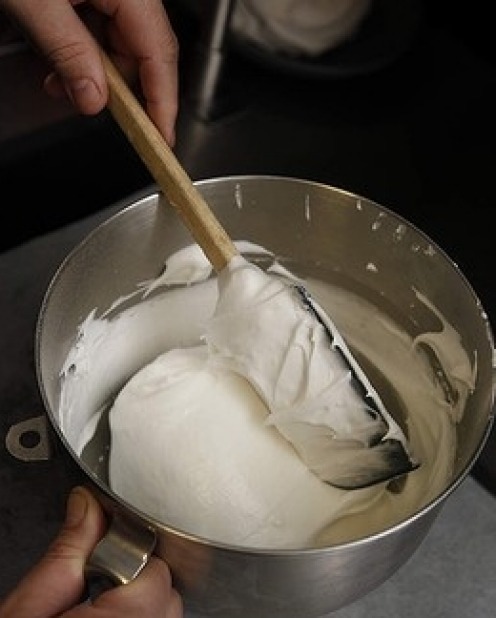 You'll see the mixture change texture almost immediately, from loose, soft peaks to a more glossy, meringue-style mixture. 4. 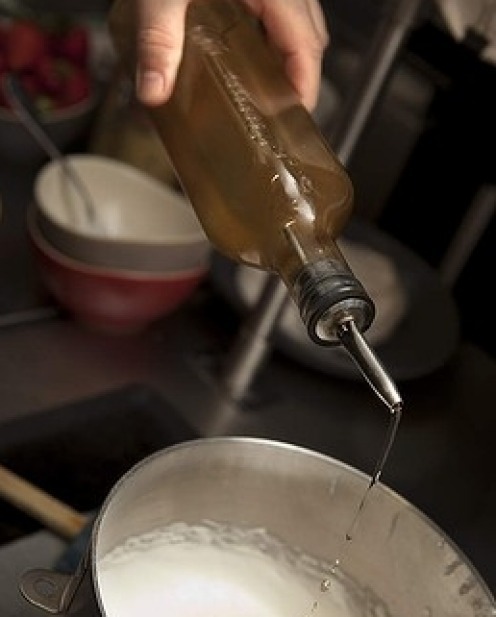 Turn the mixer up to high until the mixture thickens and the sugar has completely dissolved. It needs to reach the ribbon stage – when a spoonful of the meringue mixture poured back into the bowl sits on the surface like a ribbon. 5. Slow the machine, add the vinegar and let the beaters make three rotations, then remove the bowl from the mixer. 6. Sprinkle the cornflour over the egg white mixture and, using a clean spatula, gently fold in the cornflour – no more than six folds. 7. Spoon the mix on to the prepared tray and mould it into the shape you want. Kabboord prefers to leave it pretty heaped. Don't mess with the mix too much, though, as you want to get it in the oven quick smart. The other option is to use a preheated and lined tray. Speed is the key here. 8. 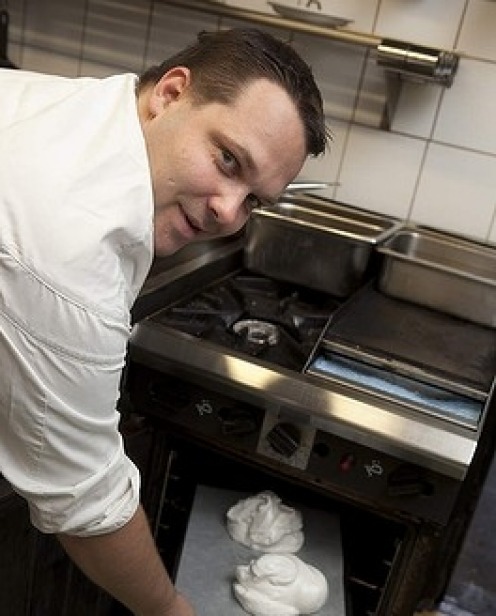 Place the tray in the middle of the oven and immediately turn the temperature down to 120 degrees Celsius. Don't use the fan. 9. 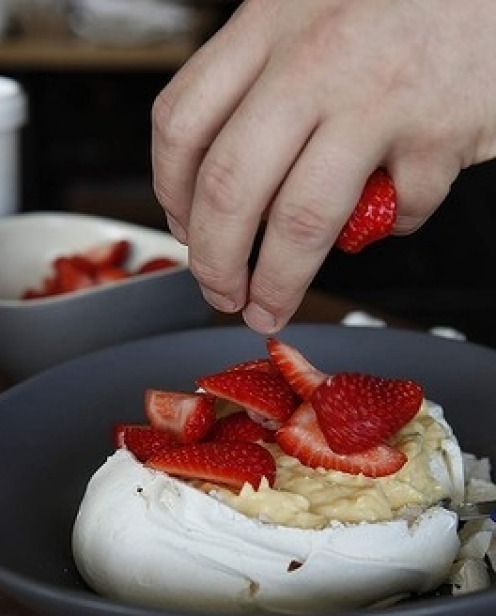 Cook for 80-90 minutes but don't let the pavlova colour. You may see a little sugar syrup seep out of the bottom but the crust should be firm. Inside, it will be soft and marshmallowy. 10. 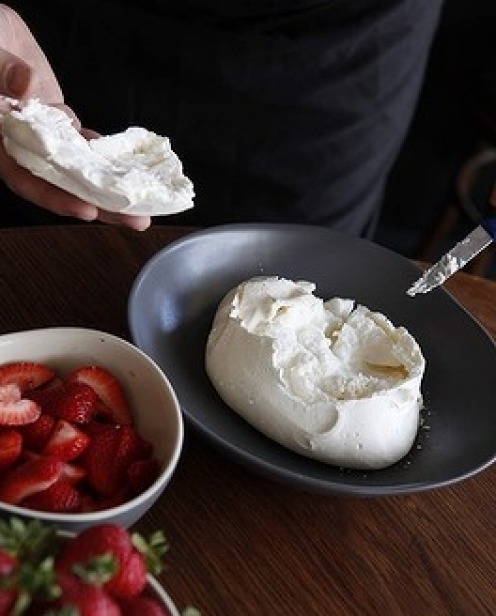 Cool to room temperature and decorate using quark, Meredith goat's curd or mascarpone (cream is boring!) and your favourite toppings, such as chopped summer fruit or passionfruit custard. 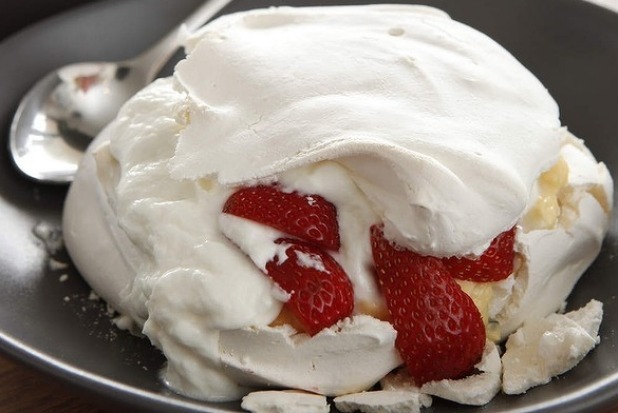 Note on storage: Kabboord says it's best to make the pavlova a day before you serve it but it will keep for up to two days in an airtight container at room temperature. Don't refrigerate it. Simmer the milk, sugar, lemon zest over medium heat. Mix the cornflour with a little water and pour this in to thicken the mix. Whisk in the yolks and simmer. Do not let it boil. Take the custard, which should be nice and thick, off the stove. Add the butter and whisk. This helps cool the custard. Add the passionfruit pulp and lemon juice. 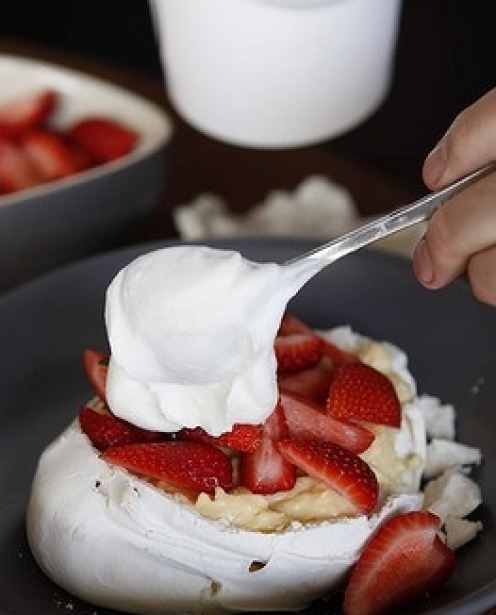 When cool, spoon over the pavlova or serve alongside.